This entry was posted in art, family, holidays, music and tagged art projects, artists, arts, birthday cards, birthday gifts, birthday parties, family, greeting cards, Kindergarten, Paper, shopping, the Beatles, Visual Arts, X-Acto, Yellow Submarine by Coffee with Cathy. Bookmark the permalink. HAPPY BIRTHDAY!!! 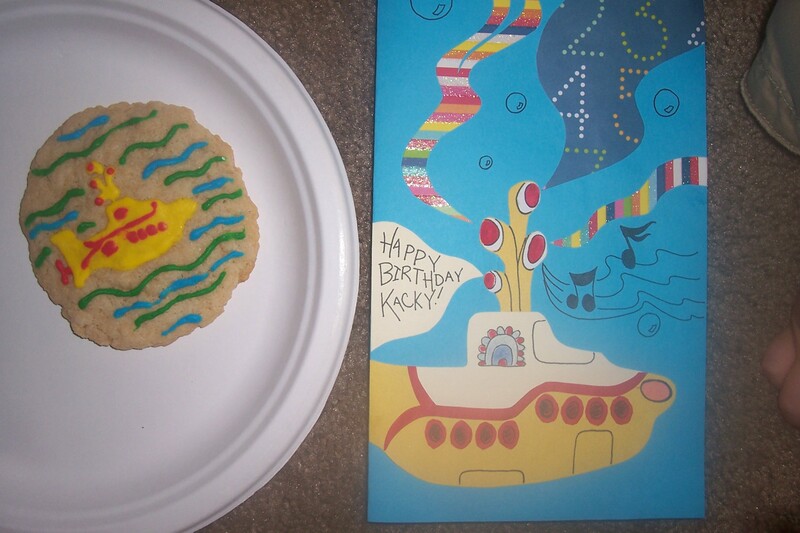 I love the card and the corresponding “Yellow Submarine” cookie.